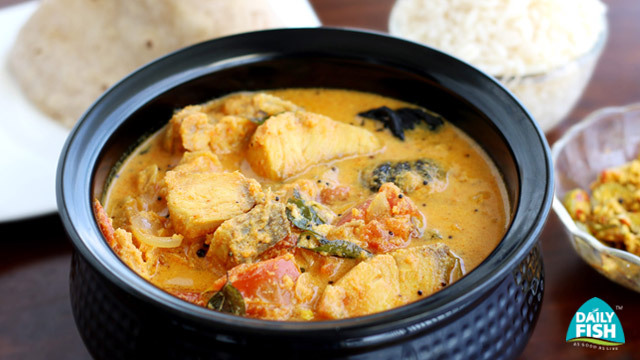 Fish coconut curry is a wonderful creamy dish. Grind coconut with ¼ tsp turmeric and 5 small onions. Keep aside. 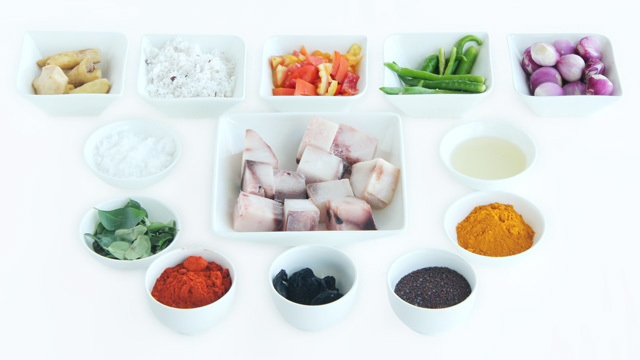 Marinate the fish with balance small onions, green chillies, kodumpuli, turmeric, chilli powder, ginger, tomatoes and salt. Keep for 10 Minutes. Boil them with 1 ½ cup of water for 10 minutes. When the fish is cooked, add the coconut paste, and bring it to boil. Remove from flame. In another small pan, heat oil and add mustard, curry leaves for tempering, pour over the curry.